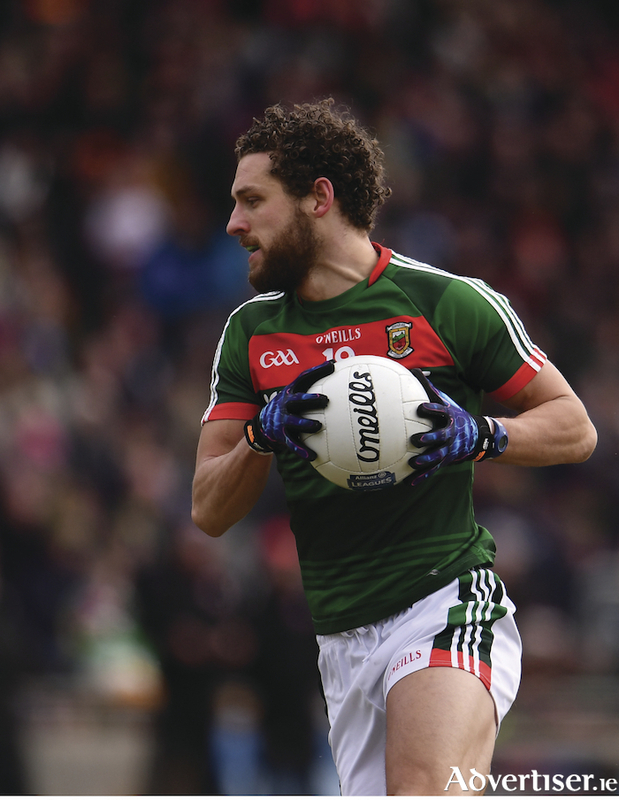 On the road to recovery: Tom Parsons is ready for the long road back to representing Mayo again. Photo: Sportsfile. Facing into his long road of rehabilitation Tom Parsons spoke this week about how appreciative he has been for the messages of support that have flooded in following his horrific injury against Galway last month. Speaking on Off the Ball on Newstalk on Wednesday evening, Parsons said he would use those messages as his recovery process continues over the next few months: "I have no words, the support and best wishes have been immense, you know your family are going to be there, my friends, my wife, my team-mates by my bed, Andy Moran called down for lunch from Mayo. "The whole GAA community - guys who we have tortured each other on the field, Galway players, Dublin players - hurlers, all GAA people dropping me thousands messages. I have read everyone one of them. "It does help, it gives you this kind of strength and just bit of willpower - the support and goodwill is huge. I really am thankful to everyone. It will be in four months time when I'm low and I need some inspiration and is this six hours of rehab worth it - I know I will go back to those messages. "Sometime as a player you go from game to game and nobody really expresses appreciation of you and you don't know do people actually think you work hard or are a good guy until maybe you retire or something maybe severe like this happens." Speaking about the injury itself, the Charlestown man laid out what happened to him: "Everyone has four ligaments in their leg, I have ruptured three of the four and torn the fourth. Then you have another strong muscle coming up from the calf and I have torn that off the bone as well - I have tears to my calf and hamstring, but everything else in the knee is fine." He also said that despite his injury being very rare for a sports person he has found case studies of players who have had similar and returned to action saying: "Not many athletes get this kind of injury it is quite a rare one, but it has happened and I have some case studies from some guys who have had similar injuries and have returned - so that gives you great confidence." Parsons remembers the incident and the approach of his fellow players and all the medical personal assisted him in the aftermath: "I was leaning over him and he was kind of bent, I just remember my leg being in trouble and trying to get that leg out and the next thing - his weight shifted one way and my weight shifted the other way and I was in flat on my back and got a glimpse of what was on the floor and that was tough. I do remember it. "I looked down, and a credit to Aidan O'Shea within seconds had had his paw on my forehead and pushed my head back and said 'Tom, relax don't look at it' and I just saw him waving in the medical team and I'm so blessed and I am sure these injuries have happened to people in car accidents and bike accidents, a lonely place - but I have such a good medical team around me - my team doctor, physio, my wife, and all the people in the hospital who were so professional. "It's one thing pain and having an injury in front of you that looks horrific, but if you see panic in someone's eyes, your team mate or doctor or wife or partner or family, that will make things worse and I never felt that, it was a massive credit to everyone."